As we enter into the holiday season, one book and its key concept keeps popping into my head: Unselfie: Why Empathetic Kids Succeed in Our All-About-Me World. I’ve been following Dr. Borba’s writings on this subject and it has really struck a chord with me. She focuses on ways we can teach our kids to think about WE instead of just ME. As she notes, empathy is not innate; kids must be taught it and we as parents must model it. We are constantly trying in our home to encourage an attitude of gratefulness and unselfishness with our kids. Now, granted at ages 7 and 3, this is not the easiest task. We know from research that kids really don’t have the brain maturity to think about much other than themselves for quite a while. Our 7-year-old, however, is getting to the age where gratitude and unselfish behavior is a possibility, at least some of the time. This attitude of gratitude, however, is sometimes even harder to create during the holidays (as ironic as that is) because of our culture of commercialization and consumption. Holidays often become centered around toys, presents and the dreaded “I want” monster. In light of this, I wanted to create a different kind of gift guide this season. 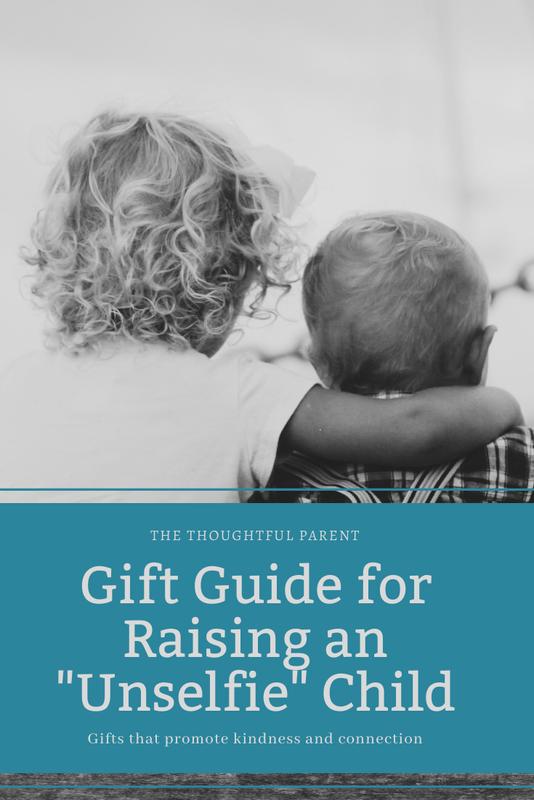 Yes, it does include items to purchase, but this guide focuses on gifts that promote empathy, kindness and giving back to others. – “Sponsor” a family or child for the holidays: many organizations this time of year have the option to sponsor the needs of a family or child. 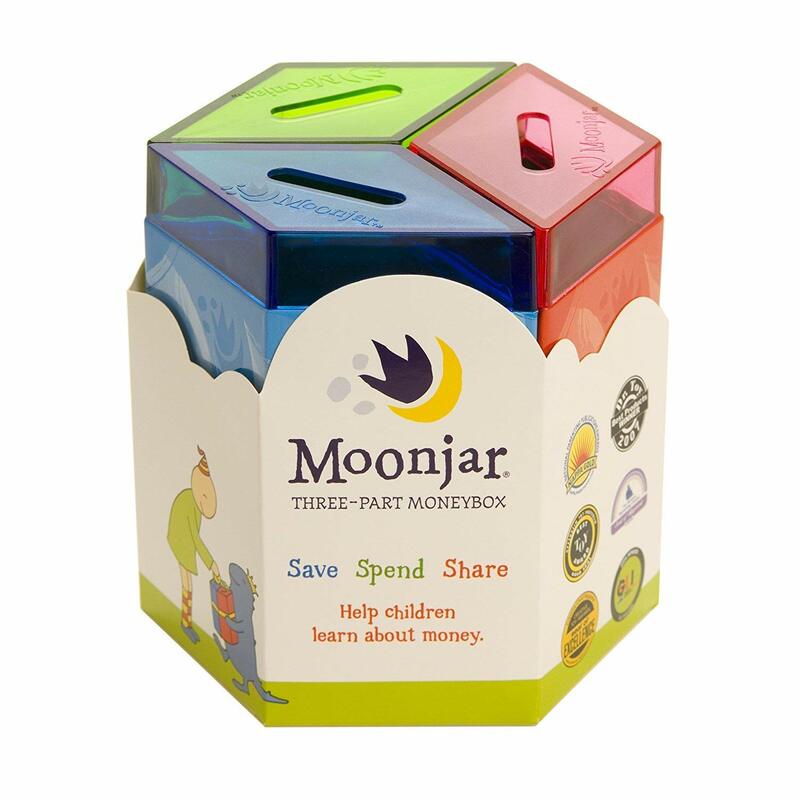 You and your family can shop for the gifts together and pick out items they need or want. – Help send a care package to military service members: organizations such as Operation Gratitude collect items and donations to send to service men and women stationed all over the world. 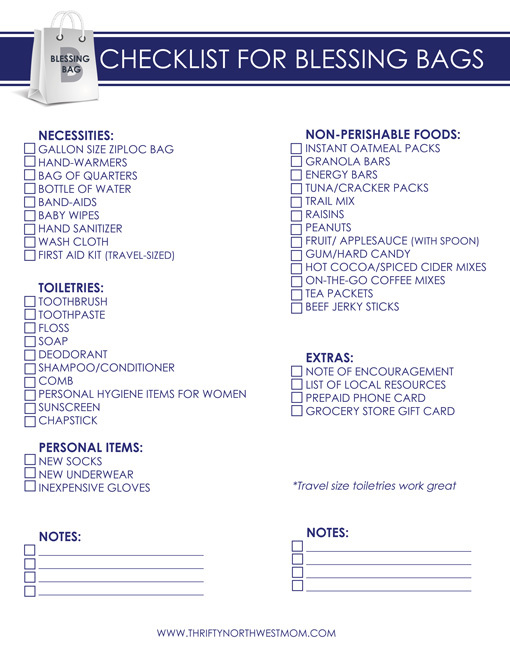 You can donate items, money or help assemble packages. – Donate items to a homeless pet shelter: shelters for homeless pets are always in need of food, treats, toys, etc. for the pets they care for. Kids will probably love picking out pet items for some cute animals that really need help. – Gift lists for others: kids always get excited about writing a letter to Santa with their gift list included. How about encouraging them to write a gift list for others. What would mom, dad, grandma, or uncle like for Christmas? 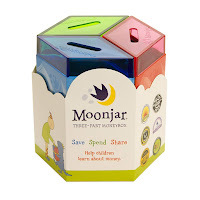 – Buying (or making) gifts for others: if your child is old enough to be earning some “pocket change” then encourage them to save it up to buy a gift for a beloved friend or relative. Of course, most adults also love gifts that are handmade by a child. Pull out those craft supplies and make some gifts. – Make “blessing bags” together: a few years ago my moms’ group made bags for the homeless individuals you see on the street while you’re stopped at a stop light. 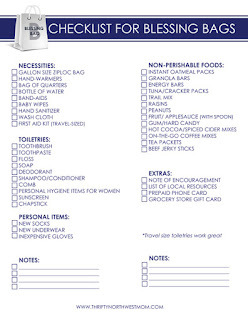 Usually they include just some basic necessities and snacks. The first time we handed one out to a person at a street corner, it really made an impression on my son. Since then, we’ve been making them every few months, especially during the cold winter months. – Kindness Elves: We all are familiar with the Elf on the Shelf. While I think he’s loads of fun, I also felt a little icky about the idea of the “big brother watching out for you doing wrong” idea. 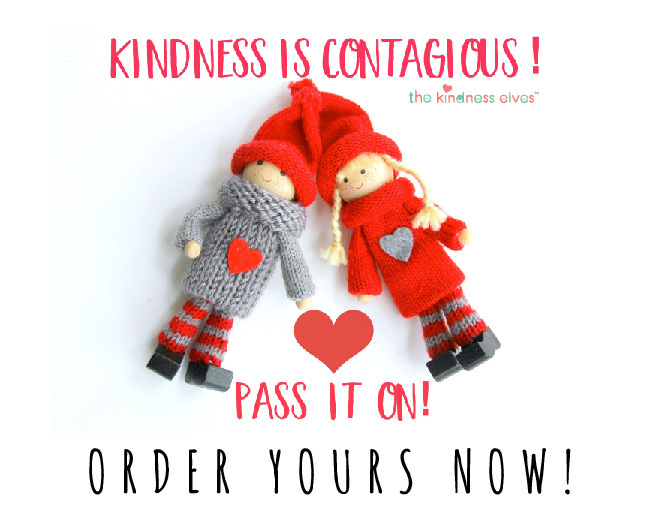 The Kindness Elves just feel more realistic and meaningful to me. They still do silly antics at night, but in the morning they have suggestions for random acts of kindness that kids can do. Cuddle and Kind: I came across these online and I instantly fell in love with them. 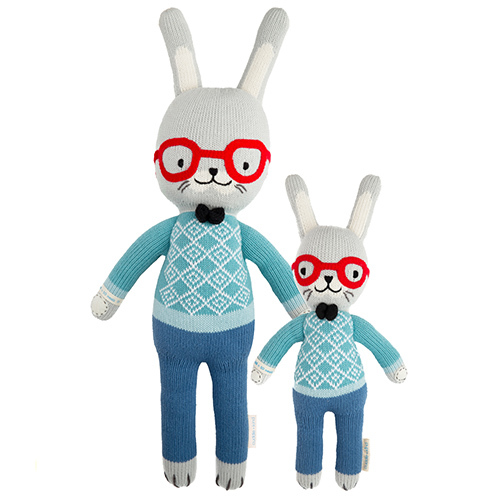 Hand-knit dolls for boys and girls that are made in Peru. 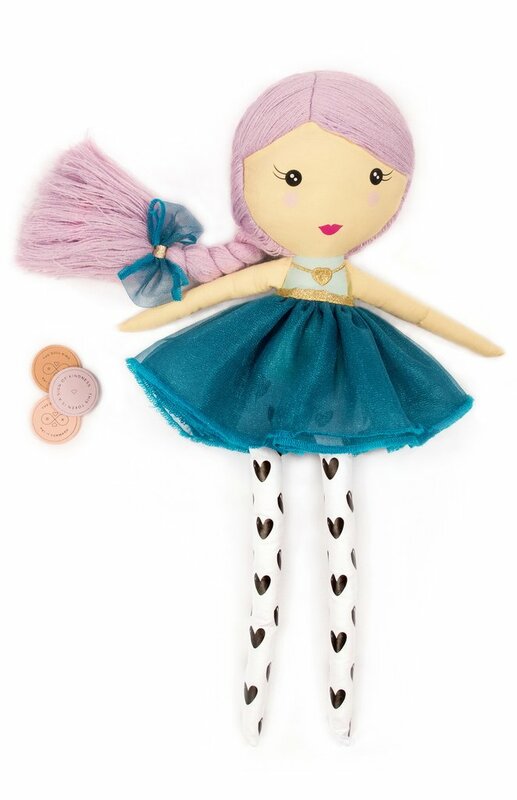 The best part–the artisans who make the dolls are paid a fair trade wage. An added bonus is that for each doll bought, the company provides 10 meals to kids all over the world through the World Food Program. Little Loving Hands: I found this subscription box a couple of years ago and I just love the concept. Kids love crafts but parents often do not want all the crafts relics cluttering up the house. This clever gift solves this problem. Kids can craft to their hearts’ content and then donate the crafts to a charity. A win-win for parents and kids! Not all games and toys are just a fun diversion. Research tells us that kids learn valuable social-emotional lessons through play. In this large market of toys and games, there are actually a few out there that help kids learn cooperation and build connection with others. Thanks for including The Doll Kind on this list! We hope that you and your audience enjoy what we are trying to do to empower children to be the positive change needed in the world today! Happy Holidays!